La Résidence Phou Vao enjoys a prime location, offering exquisite accommodation and providing the perfect blend of service and style. Overlooking the confluence of the Mekong and Nam Khan rivers, this luxury hotel and spa offers breathtaking views of the surrounding mountains and numerous temples. We are not supposed to have favourites, but if we did, then La Residence would undoubtedly be high on the list. 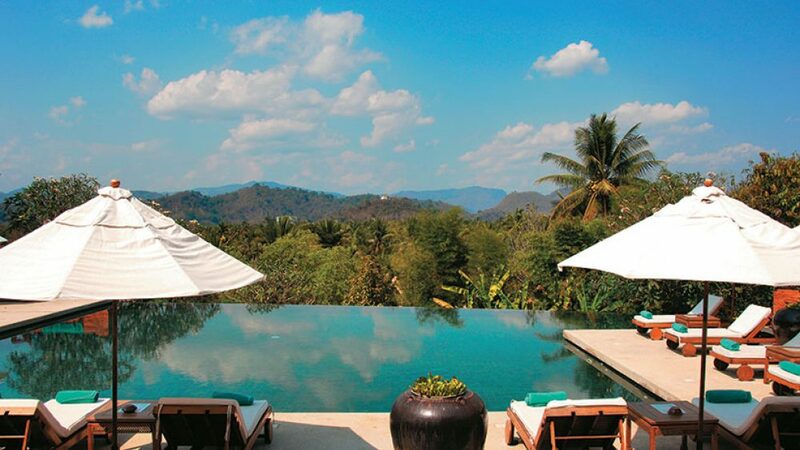 Well-proportioned rooms with superb amenities, balconies with views over misty Mt Phousi, an inviting infinity pool, superb French and Laotian cuisine, the incredible Mekong Spa set around lush gardens with a second swimming pool. Need we say more? Heavenly.